A 117-metre wingspan nabbed this plane the title of ‘world’s longest wingspan’ from the Spruce Goose, which had a wingspan of just over 97.5 metres. 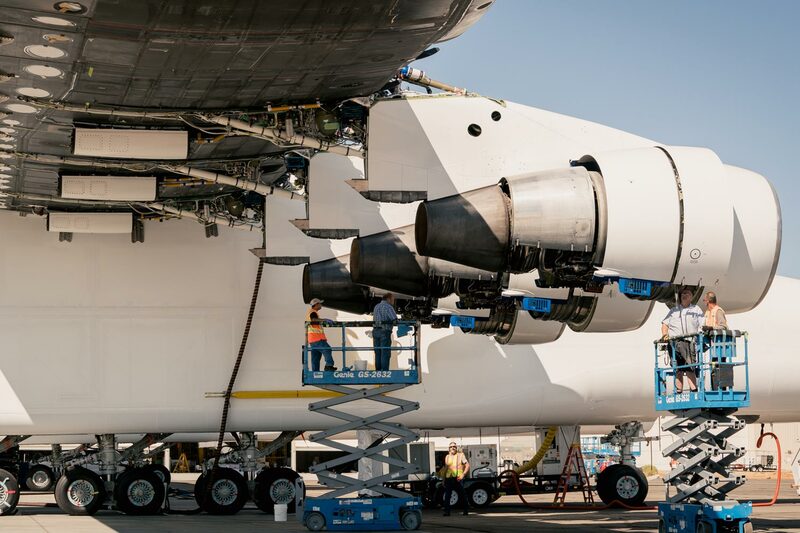 Although its name is less catchy, the Stratolaunch jet is vying to go down in history as a frontrunner in the market for air launching small satellites. 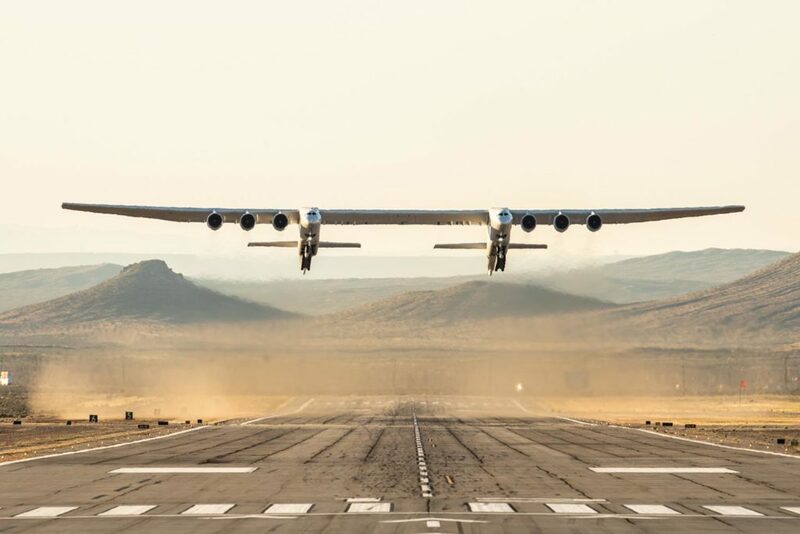 The 227,000 kg plane took off on its maiden voyage from the Mojave Air and Spaceport Saturday morning US time, and stayed airborne for 150 minutes before a safe landing. Getting this twin-fuselage plane off the ground is the work of six turbofan engines – the same used on Boeing’s 747 aircraft. It has two cockpits, though only one is used to fly, and many of the plane’s other components, including the 28 wheels for landing gear, are based on or made using parts from Boeing jetliners. 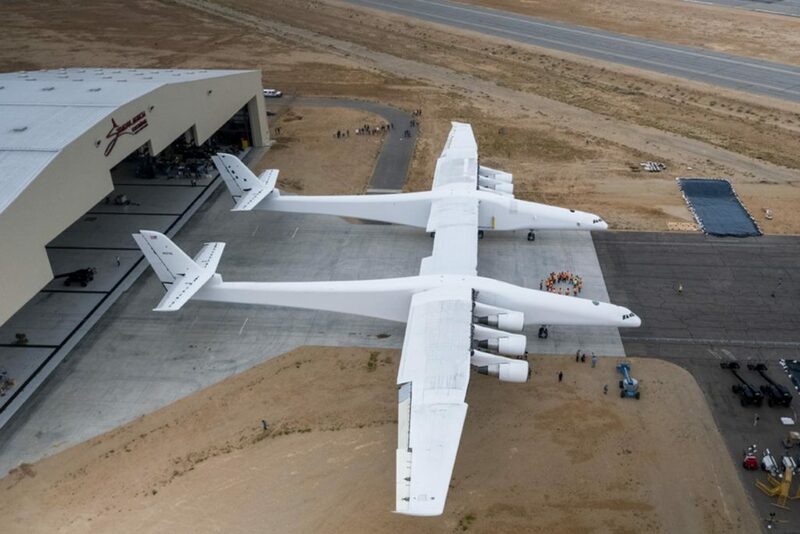 Stratolaunch is made largely of carbon fibre instead of the usual aluminium to make it strong yet lightweight,. 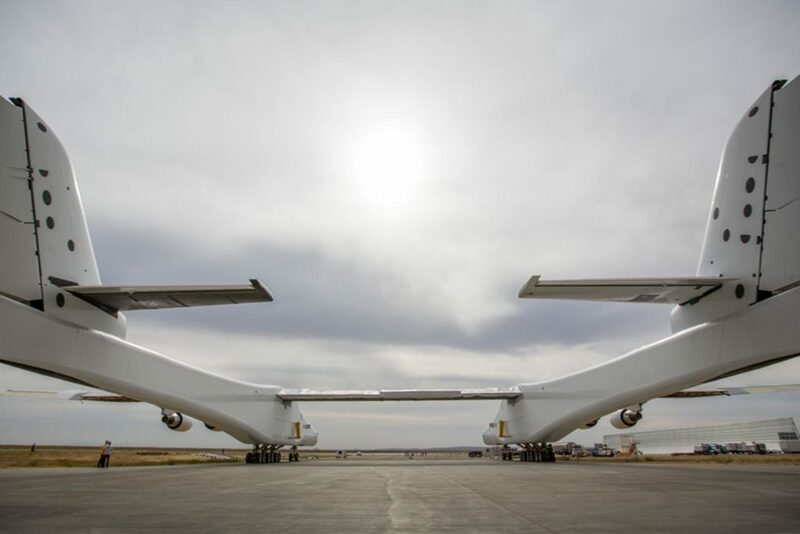 Stratolaunch is designed to carry as many as three satellite-laden rockets under the centre of its enormous wings, and can take a maximum weight of 590 metric tonnes. Although the Stratolaunch only reached an altitude of 5 km and a speed of 304 km/h this time, test pilot Evan Thomas said the flight was “fantastic” and for the most part went according to plan. “The flight was smooth, which is exactly what you want a first flight to be,” Thomas said. 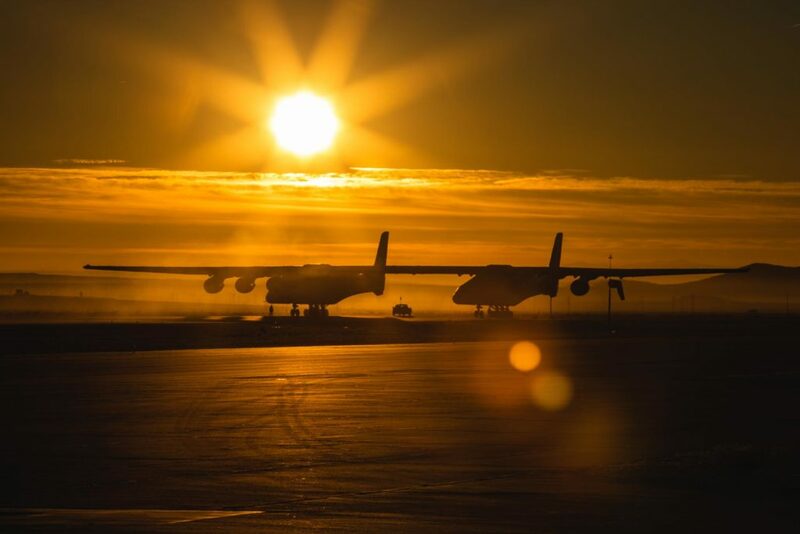 Stratolaunch Systems CEO Jean Floyd said this flight brings the company closer to achieving its mission to “provide a flexible alternative to ground launched systems”. Stratolaunch Systems was founded in 2011 by the late Microsoft co-founder Paul Allen. Now that the plane has a successful flight under its belt, it can start working its way up to the edge of the stratosphere, where it can air-launch rockets. From this height (10.5 km), rockets can bypass the expensive and fuel-heavy launch stages needed to get satellites into orbit. This route also means it can avoid the types of delays that plague ground launches, such as bad weather. The market for commercial satellite launches is expected to reach US$7 billion by 2024. Competition is heating up, with industry heavyweights like SpaceX and Virgin Orbit’s LauncherOne service already making inroads. Smaller space tech startups, such as Rocket Lab in New Zealand and Gilmour Space Technologies in Queensland, are carving a niche as well. The company said it wants to start launching rockets by 2020, and make satellite deployment as “easy as booking an airline flight”. Stratolaunch has already signed at least one customer: Northrop Grumman, which plans to use the plane to send its Pegasus XL rocket into space.